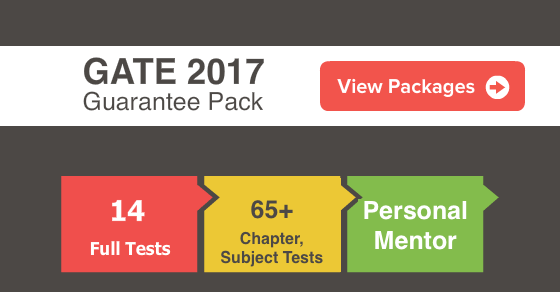 GATE 2017 is approaching and with only 2 weeks to go for the exam, this is indeed a crucial instance for all the aspirants. As everyone knows, GATE exam is extremely difficult with very low success rates. 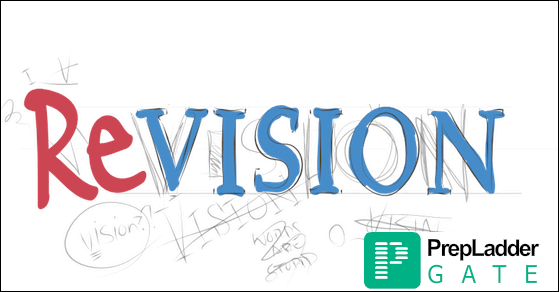 With a view to aid your revision, we bring forward the Final 15 Days Revision Plan for the upcoming GATE exam. In order to assist you in your GATE preparation , We provide daily Free Quiz,free tutorials, study tips , preparation Tips for GATE 2017preparation . 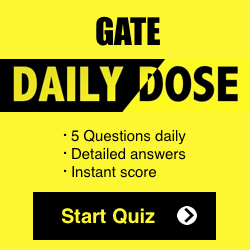 You can subscribe and get daily FREE Quiz,study tutorials and tips delivered on your personal email id to crack the upcoming GATE Exam. The Revision plan has been compiled keeping in consideration the weightage of the subjects from the perspective of GATE. Commence your Revision wit this subject since it contributes nearly 15% weight age to GATE. Revise the important formulas, shortcuts, concepts and tricks. Get thorough with the concepts and strengthen your weak areas. Prepare General Aptitude section thoroughly since it carries nearly 15% of weight age in GATE. This section is highly scoring and will really boost up your score in GATE. Revise basics of English Grammar, reasoning and basic mathematics formulas and shortcuts. Solve questions from previous year papers. This section accounts for nearly 12% weight age in GATE. Revise the important topics such as Random variable and Random Processes, PCM, AM, FM, Digital Modulation schemes, Matched filter, Probability of error, Channel Capacity and Bit error rate. Get thorough with the concepts. This section carries nearly 10% weight age in GATE exam. Revise the important topics such as Operational Amplifiers, Feedback amplifiers, Oscillators, Biasing and small signal analysis of BJT, Rectifiers and Diode Circuits. Revise all the important concepts such as Mesh and Node analysis and theorems, Laplace transform method of solving RLC circuits, Resonance, Coupled Circuits, Two-port networks and Transient analysis. Revise the concepts of basic signals and systems, their properties and representation, Spectrum of Fourier series, Fourier transform, Laplace Transform of continuous time signals, discrete-time signals, Digital filters. Revise the important concepts such as PN Junction Diode, Zener Diode, Diode Capacitance, MOSFET operation and characteristics, Drift and Diffusion currents and Carrier concentration. Get thorough with the concepts of Signal Flow graphs, Root Locus, Routh-Hurwitz criteria, Nyquist plot, State variable analysis, Time and Frequency domain specifications. Get a grip over the concepts of Logic gates, Adders, Multiplexers, Decoders, Counters, Registers, ADC and DACs. Thoroughly revise the concepts of Gauss’s law, Boundary conditions, Wave equations and their properties, polarization, normal and oblique incidence, transmission lines, modes and cut-off frequencies of waveguides, antenna arrays. Practice Mock Tests and strive to strengthen your weak subjects. Strive to achieve as much proficiency as possible in the weak topics. Dedicate the final 2 days to revising the previous year papers. Go through previous year papers with solved solutions. Strive to grab as much as you can from the previous papers since questions get repeated from the previous papers. Effectively implementing the Revision schedule will surely help you to extract the maximum from the Final 15 Days.